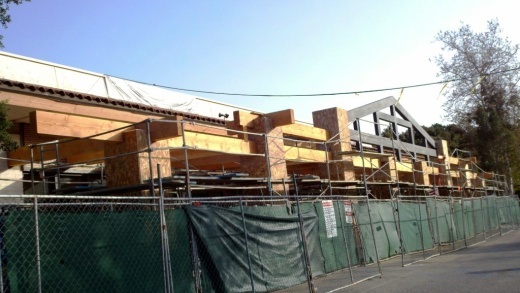 Here is what the beautiful new Sprouts in Westlake Village now looks like. 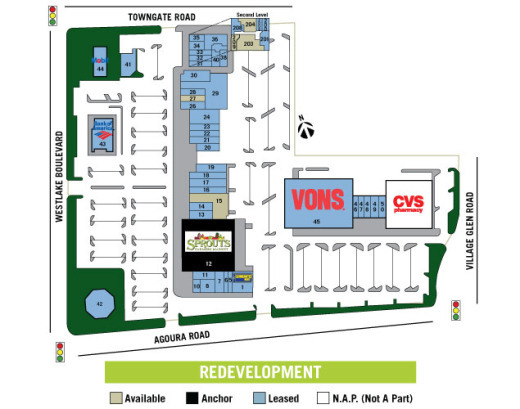 Located at 1012 S. Westlake Boulevard (at Agoura Road). Phone 805.917.4200. Originally posted in March 2011: Sprouts Farmers Market cannot tell me the exact date yet, but tells me that the new Westlake Village store is slated to open sometime in mid-May 2011. That's not too far away. That would be the 2nd mid-May opening in a row for Sprouts, which opened its first Conejo Valley (or Ventura County, for that matter) Sprouts in the old Circuit City building at Hillcrest and Lynn Road in Thousand Oaks on May 12, 2010. This new Sprouts as you can see below is work in process and I'm sure it'll be looking might nice for opening day. This is great news for the other businesses surrounding Sprouts, which should benefit from the added traffic. This as I recall used to be a CVS pharmacy and/or a Long's Drugs (my brain is getting rusty). It appears this 190,000+ sq ft Westlake Plaza and Center is getting some redevelopment done. Good news. The other good news is that Sprouts will be hiring, with applications accepted beginning April Fool's Day (no joke). See sign below. Visit www.sprouts.com for an application. On one last side note, directly adjacent to Sprouts on the right is East Coast Bagel and Sea Casa Mexican Grill, both of which I like. East Coast Bagel has really thick, dense bagels with a lot of flavor and they make really good sandwiches there in my opinion. Sea Casa has always been a favorite of mine too. Great burritos and other Mexican specialties. And there ya have it.